Lice Lifters prioritizes educating DFW families on how to deal with head lice. We know you and your children have busy lives, and we want to get you back on track as soon as possible. Don’t make the mistake of thinking a specialized shampoo is all you need in order to eradicate head lice and nits. A comb out is an important part of the process. The nit is the unhatched eggs form of head lice. The nit is usually glued to the hair near the scalp. Nits are not addressed by many common life removal treatments. So, it’s important to know the best way to remove them. 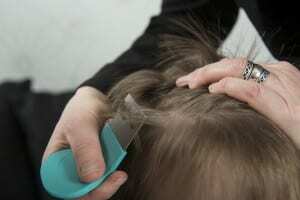 As mentioned above, it’s important to remove not just head lice but also nits from the scalp. That’s why we offer a wide range of products and services at Lice Lifters, so you have options. Our nit comb is specially designed to aid in lifting the nits from the hair strand and off the scalp. Nits are held onto the strand with a kind of “glue” that can make them difficult to fully remove without the comb. When you understand that just a few missed nits can start the lice cycle all over again, you want to make sure you trust professionals who understand the importance of a thorough comb out. 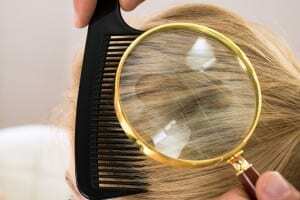 Every comb-out at our Lice Lifters treatment center is done with precision, professionalism, and patience. With our Lice Lifticians on your side, you have nothing to worry about. 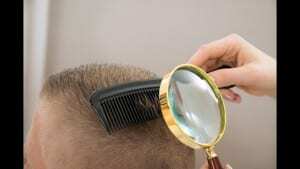 If you did an at-home treatment, you may still see a few lingering dead lice on the scalp for a day or two, depending on how well the hair was washed following treatment. But if there are living lice, or nits present, give us a call to discuss your options. If you and your family live in the DFW area and need head lice treatment or a comb out, give our professionals a call at our Frisco location at (972) 805-1308 to answer any questions. We’ll be happy to talk you through the process and answer whatever questions you may. No one wants to have a second outbreak of head lice after the first treatment fails to completely remove head lice and nits. That’s why it’s important to keep these 10 tips in mind. Look into using a solution treatment that will kill lice at every life stage. This comb is specially designed to make it easy to use and to lift nits directly off hair strands. Products like our Lice Lifters Nit Removal Mousse or the Lice Lifters Mint Detangler Spray are safe for you, your family, but a natural repellant for head lice. At best, over the counter methods are partially successfully, at worst, they can irritate the scalp or cause other issues. If you or your child has long hair, look for a mint scented detangler spray that will make the process of removing head lice much easier and deter head lice from returning. 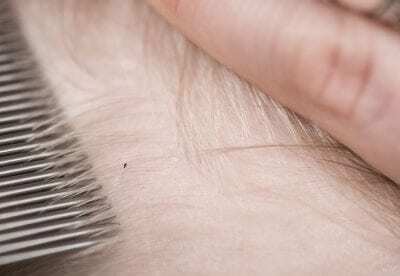 Head lice are transferred through skin to skin contact. Encourage your kids to not share brushes, combs, or hats with their friends. After your treatment, be on the lookout for nits and head lice in your child’s hair. If you see anything after a treatment, give us a call. Don’t forget to clean any bedding, stuffed animals, clothes, or furniture surfaces that might house any lingering head lice. With a Lice Lifters Family Head Lice Treatment Kit, depending on the length and thickness of hair, a single kit treats one to four heads. If you or your child is dealing with head lice, give our experienced Dallas professionals a call at our Frisco location at (972) 805-1308 to answer any questions.. We’ll be happy to answer whatever questions you may have regarding our products and services. Summer time is a time to get together with family and friends, enjoy the day and each other’s company. It can also be a popular time for head lice in Dallas. Before you run out and grab that bargain over the counter treatment from the corner store, let’s look at what you need to know about lice treatment ingredients. Many over the counter treatments contain chemicals and ingredient that can irritate the scalp of your child and even potentially cause other health issues. Not only that, they aren’t always successful in eradicating both head lice and nits to free your child of these pests. Many of our Dallas clients attempt an at-home treatment only to have a negative experience before coming to Lice Lifters to fully address the outbreak. Treatments for head lice are generally considered safe and when used as directed. Some over-the-counter treatments can cause itching or mild burning caused by inflammation of the skin on the scalp in reaction to the ingredients in the treatment. Most products used to treat head lice are pesticides that can be absorbed through the skin. Things to think about when considering a pesticide lice treatment also include if the person has asthma, if there are scratches or broken skin in the area that will be treated, if there are medications being taken that could interact negatively with the pesticides. Each of these circumstances could react negatively with an OTC treatment. Lice Lifters worked with chemists to engineer an all-natural killing agent that blocks the airways of head lice and puts an end to live lice activity in 10 minutes or less. Our treatments are kind and safe for you and your family and they won’t have that harsh chemical smell that comes with other treatments. 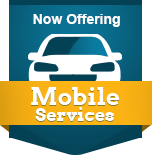 If you live in the Dallas area and someone in your home is dealing with head lice, give our experienced Lice Lifticians at our Frisco location at (972) 805-1308 to answer any questions. We’ll be happy to answer whatever questions you may have.